We provide SMEs with strategic in-house IP counseling at a fraction of the cost of hiring a full-time in-house IP lawyer. Our many years of experience working with best-in-class IP organizations allows us to provide SMEs with the level of counseling that is typically available only from hiring very seasoned in-house IP counsel or from consulting firms that charge upward of $50,000 per engagement. Our clients typically engage us either on a monthly retainer basis or on a reasonable per hour basis. We work in a virtual setting. As such, our clients do not pay for “extras” that do not add to the quality of our IP advice, such as fancy offices, staff and associates. 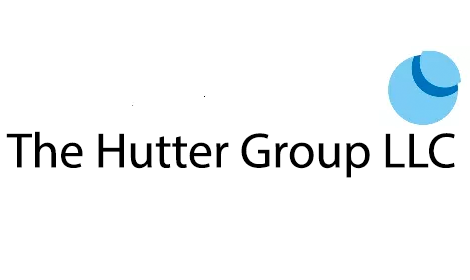 Like in-house counsel, The Hutter Group’s interests are totally in tune with those of our clients. In short, our innovative IP service model allows us to closely align our efforts with your business needs, without also requiring us to focus on the business of running a law firm. This means that clients find our counsel uncommonly pragmatic, efficient and cost sensitive as compared to previous IP counsel. Further, our innovation-driven clients understand that having an experienced in-house IP counsel resource on demand improves their business decisions. Experience shows what types of clients are right for our unique practice model and we work to ensure there is a good fit before engagement. We know our practice model is not for everyone. In short, if you are looking to outsource your IP efforts to a law firm, we are not the counselors for you. To ensure that our clients not only create, but also maximize their company’s return on innovation investment, it is imperative that we are integrated onto the company’s relevant business and technical teams. Prior to engagement, we fully vet potential new clients ensure there is a great fit. If we believe you would be better served by a more traditional IP legal service model, we can refer you to counsel we trust. At the start of a typical client engagement, we spend considerable time with the client’s business teams to get to know the business and competitive landscape, just as any new team member would similarly on-boarded into a new role. For many clients, our main point of contact initially is the C-Suite. As we gain more knowledge about the business and its competitive challenges, we can operate more independently. However, never do we function without the regular involvement of senior members of our clients’ business teams and, ultimately, their C-Suite. We offer clients a number of different fee options including hourly and task-based billing, as well as monthly or quarterly retainers. In order to create and execute on strong IP strategy, we must fully understand the client’s business and technology, as well as the competitive landscape. However, we realize that your will reach out to counsel less if you are being charged for every minute spent with a lawyer. This is why we do not charge for most phone calls and many in-person meetings, even if we are billing your company by the hour. If we are billing you on a retainer basis, we will discuss your needs on a regular basis to make sure the fees you are charged work for both of us. As your in-house IP counsel, we endeavor to provide high quality IP services in a cost-appropriate framework. While we can perform many services, such as preparing IP-related agreements and drafting patent applications, often it will make more sense to outsource work to specialized counsel. Our network includes a deep bench of trusted counsel with whom we have practiced with previously. As with any in-house counsel, we will manage any outside counsel relationships to make sure your IP strategy is being actively managed and correctly executed.